[S704] UK National Census for 1901 for UK, "RG13/3314 f99 p25 161." [S704] UK National Census for 1901 for UK, "RG13/3575 f143 p17 110." [S704] UK National Census for 1901 for UK, "RG13/3575 f143a p18 110." [S70] General Record Office Indexes "Birth Jun 1881 HEATH Emma Northwich 8a 266." [S70] General Record Office Indexes "Marr Sep 1910 LEWIS Charles Heath Northwich 8a 603." [S70] General Record Office Indexes "Marr Sep 1910 HEATH Emma LEWIS Northwich 8a 603." [S37] Website Cheshire BMD (http://cheshirebmd.org.uk/) "Cheshire Central : 134/1/415." [S71] Michael R Bullock ed. St John (Lostock Gralam) MI "C44 - ILMO/Charles/b h of EMMA LEWIS/D 23 DEC 1944 a63y ata/EMMA LEWIS/D 24 Jul 1974/a93y/also their son JOHN/D 18 Jun 1986 a75y." [S70] General Record Office Indexes "Death Sep 1974 LEWIS Emma 14 May 1881 Vale Royal 35 0756." [S70] General Record Office Indexes "Birth Mar 1913 LEWIS Annie Heath Northwich 8a 481." [S37] Website Cheshire BMD (http://cheshirebmd.org.uk/) "Cheshire Central : 134/3/215." [S70] General Record Office Indexes "Birth Dec 1917 LEWIS Harry Heath Northwich 8a 337." [S71] Michael R Bullock ed. St John (Lostock Gralam) MI "D52 (Garden of Remembrance) - ILMO Harry Lewis/D 14 Feb 1992/a74y." [S70] General Record Office Indexes "Birth Mar 1911 LEWIS John Northwich 8a 234." [S37] Website Cheshire BMD (http://cheshirebmd.org.uk/) "Cheshire Central : WI/58/060." [S601] UK National Census for 1881 for UK, "RG11/3709 f47 p39 228." [S1051] Website Lancashire BMD (http://lancashirebmd.org.uk/) "Liverpool : 2110WD/3/106." [S45] Website FreeBMD (http://freebmd.rootsweb.com/) "Marriages Sep 1899 Womersley Willie Dewsbury 9b 1262." [S45] Website FreeBMD (http://freebmd.rootsweb.com/) "Marriages Sep 1899 Senior Susannah Wood Dewsbury 9b 1262." [S45] Website FreeBMD (http://freebmd.rootsweb.com/) "Births Sep 1875 Senior Susannah Wood Dewsbury 9b 701." [S704] UK National Census for 1901 for UK, "RG13/4171 f127a p18 132." [S45] Website FreeBMD (http://freebmd.rootsweb.com/) "Deaths Mar 1902 Womersley Susannah Wood 26 Dewsbury 9b 427." [S70] General Record Office Indexes "Marr MAR 1916 WOMERSLEY Minerva CARTWRIGHT Halifax 9a 759." [S70] General Record Office Indexes "Marr MAR 1916 CARTWRIGHT Ernest B WOMERSLEY Halifax 9a 759." [S2260] UK National Census for 1911 for UK, "RG14PN26397 RG78PN1524 RD496 SD1 ED29 SN38." Ancestry.com. West Yorkshire, England, Church of England Births and Baptisms, 1813-1910 [database on-line]. Lehi, UT, USA: Ancestry.com Operations, Inc., 2011. Original data: Yorkshire Parish Records. Leeds, England: West Yorkshire Archive Service." [S3835] National Health Service Register for UK (online image) "Ref: RG101/3620J/021/33 Letter Code: KMJG." Original data: Yorkshire Parish Records. West Yorkshire Archive Service: Leeds, England." 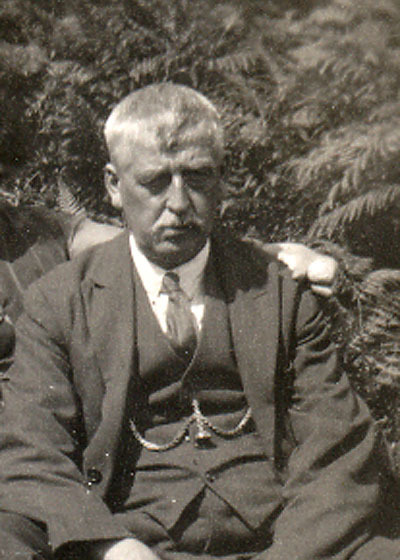 [S45] Website FreeBMD (http://freebmd.rootsweb.com/) "Marriages Dec 1898 Brand Herbert Percival West Ham 4a 459." [S704] UK National Census for 1901 for UK, "RG13/507 f73a p16 102." [S45] Website FreeBMD (http://freebmd.rootsweb.com/) "Marriages Dec 1898 WIMPRESS Mary Ann F W. Ham 4a 459." [S704] UK National Census for 1901 for UK, "RG13/507 f73 p15 102." [S601] UK National Census for 1881 for UK, "RG11/1752 f14 p1 4." [S898] Website Susan and Barry Reynolds Genealogy (http://www.reynolds-lake.ca). ADDITIONAL_INFORMATION LC DR BROOKE *DATED 18TH." [S70] General Record Office Indexes "Marr JUN 1902 BENNETT Lavinia Prescot 8b 1059." [S601] UK National Census for 1881 for UK, "RG11/3726 f83a p74 356." [S900] Norman Sandland, Tree, 2007 "unknown cd." [S72] UK National Census for 1891 for UK, "RG12/3013 f41 p13 64." [S704] UK National Census for 1901 for UK, "RG13/3514 f64a p18 104." [S70] General Record Office Indexes "Marr JUN 1902 BOOTH John Prescot 8b 1059." [S2109] Burial, Runcorn & Halton, Unknown "16342 John William BOOTH chemical process foreman (retired) 64 26 Parker Street 19400106 16 10 full burial Runcorn 2839 176/8." [S70] General Record Office Indexes "Death Mar1940 BOOTH John W 64 Runcorn 8a 839."